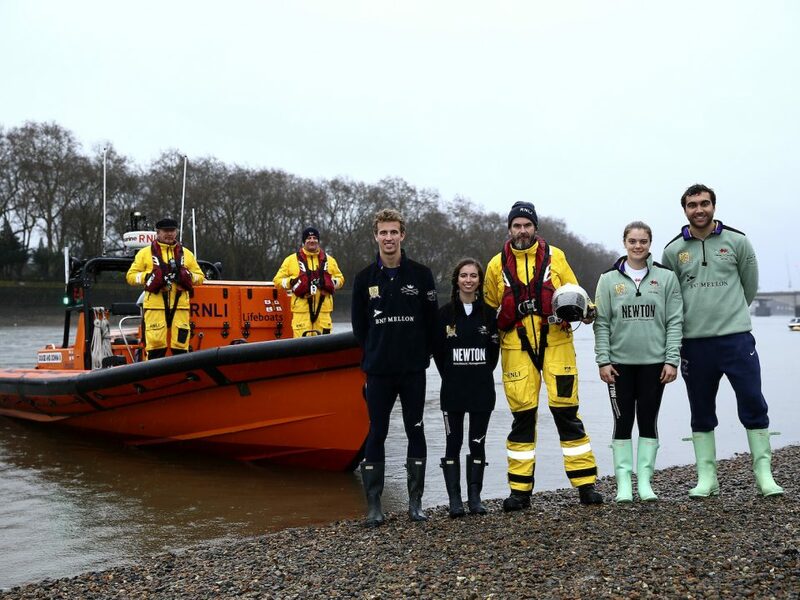 The Royal National Lifeboat Institution (RNLI) has been announced today as the Official Charity partner of The Boat Race 2019. The partnership will increase awareness of the RNLI’s flagship ‘Respect the Water’ drowning prevention campaign and aims to raise funds to support the Thames’ lifesaving service. All funds raised through the partnership will go towards essential crew training at Chiswick Lifeboat Station. In addition, the RNLI’s Community Safety team will be working with venues along the course to train staff on water safety such as the throwline initiative, which has been rolled out to other riverside pubs and clubs along the Thames to help save lives. Since 2002, the RNLI’s Chiswick Lifeboat Station has supported The Boat Race with its E-class lifeboat. Working not only to look after The Boat Race crews and those on the water, but also the safety of the thousands of spectators that line the banks of the River Thames on race day. In 2016, the RNLI bolstered its lifesaving service with the addition of nine Arancia-class lifeboats crewed by lifeguards; these are strategically positioned along the Championship Course to keep the public safe during the incoming tide. Teams are already in the thick of training for The Boat Race on Sunday 7th April 2019. The Women’s Boat Race will begin at 2.15pm and The Men’s Boat Race at 3.15pm.